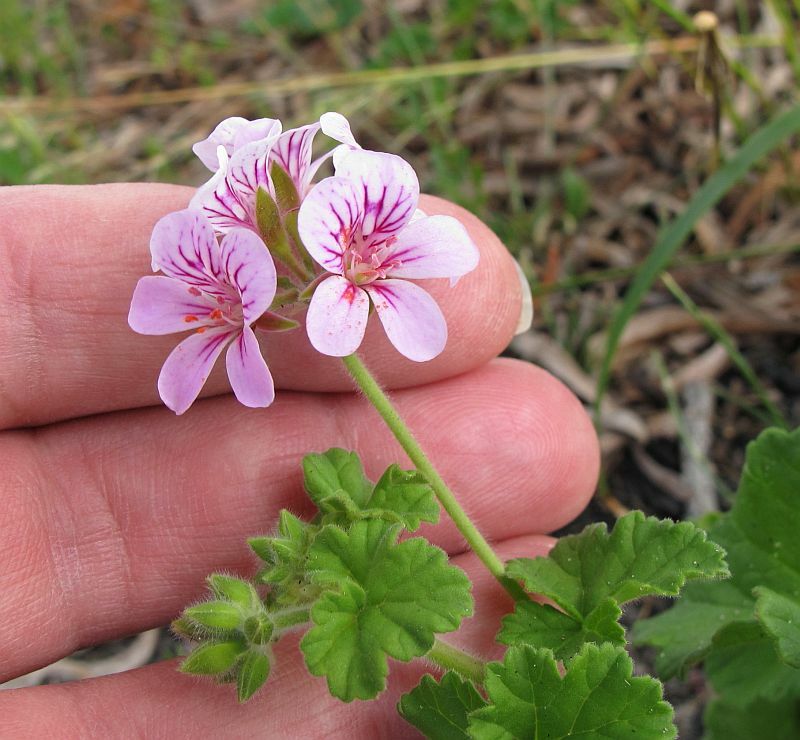 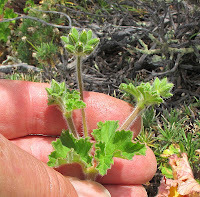 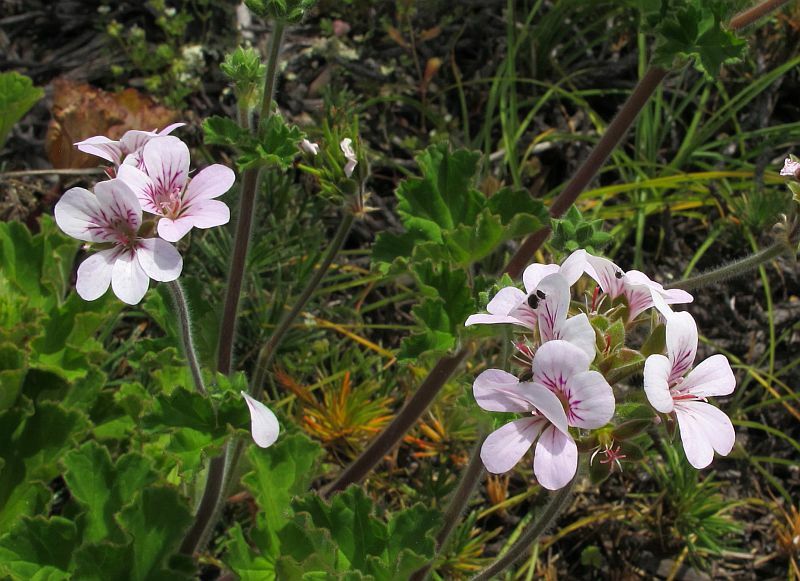 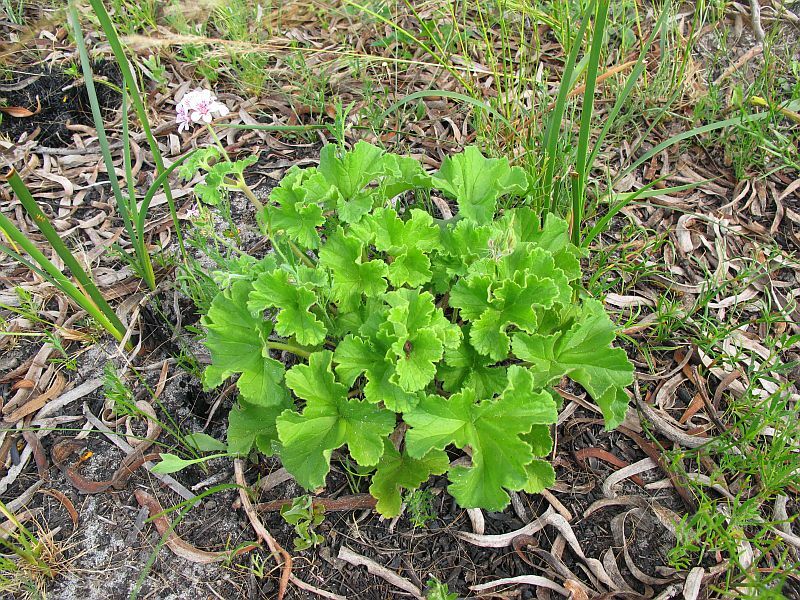 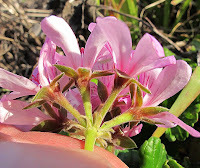 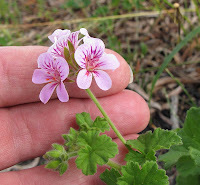 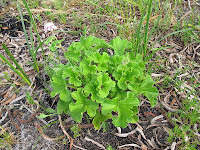 Pelargonium australe, also known as Native Storksbill is widely distributed across Australia’s southern states including Tasmania and southern Queensland. 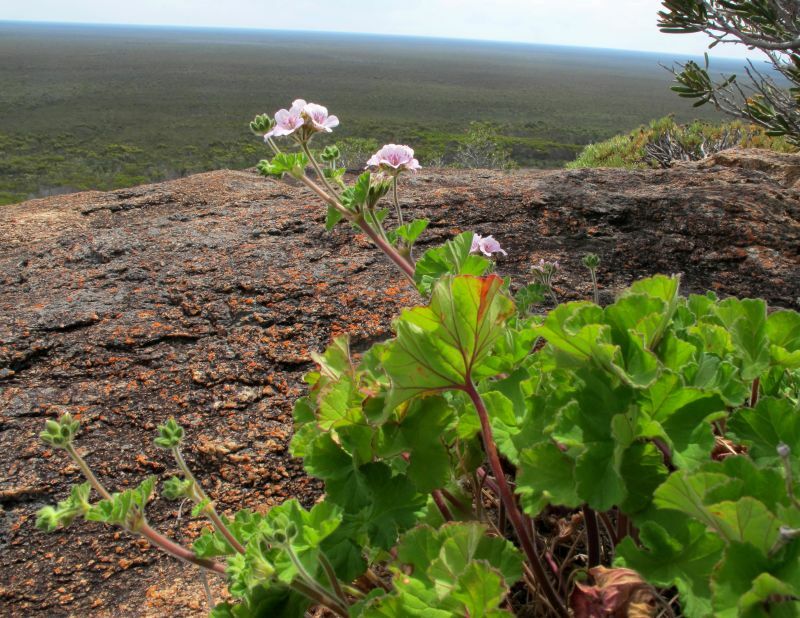 It can grow in a variety of habitats, but in WA favours granite and rocky areas, often being found in pockets of deeper soil on the upper slopes of large granite outcrops, although is also encountered on coastal peninsulas growing within metres of the sea. The flowers vary from white to deep pink and with mild weather can be seen for most of the year, although less so during winter. 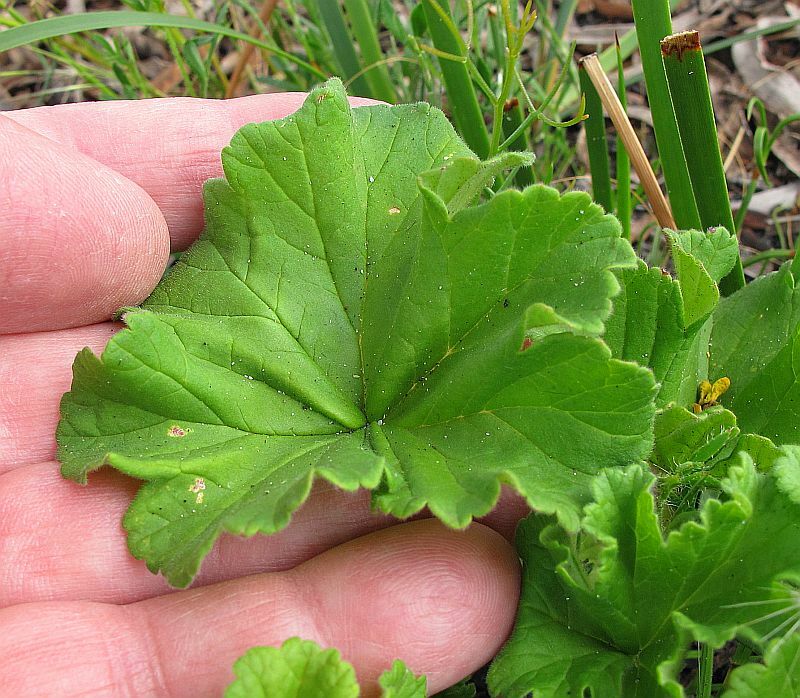 The foliage is a rich pea-green color, soft, thick and obviously built to withstand harsh conditions. 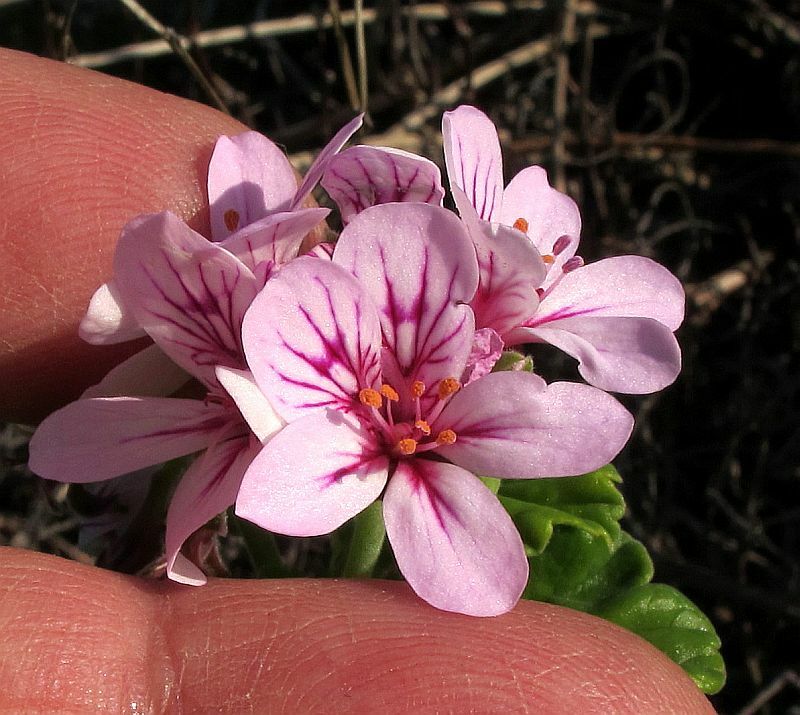 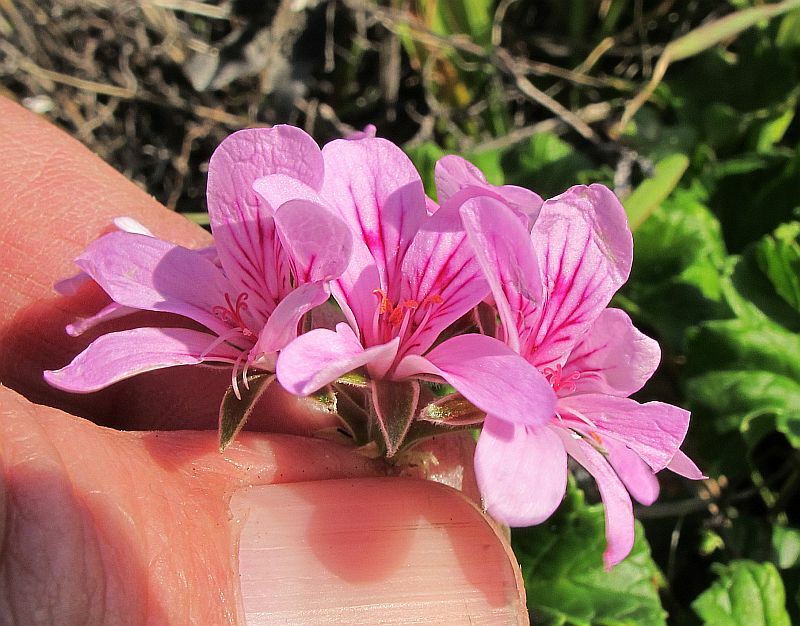 However unlike many of the introduced Pelargonium/Geranium species renown for their highly scented leaves (especially when crushed) and clusters of brightly coloured flowers, the leaves of Pelargonium australe have little scent of note, but do have the same colourful blooms. 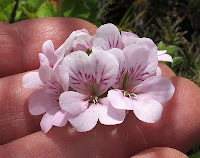 Pelargonium and Geranium are often confused, however they differ from each other by the shape of the flowers, with Pelargoniums having two larger petals (zygomorphic), whilst Geraniums are all of similar size (regular). 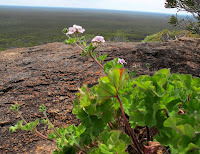 Both genera belong to the Geraniaceae family with a worldwide distribution, but are particularly numerous and diverse in South Africa.